Despite the fact that it is a capital city of Slovenia, Ljubjana has a small surface area of estate. Ljubljana has a population of 330,000 whereby 10% of the populations are students. This is the primary reason of why Ljubljana has youthful ambience. Still, Ljubljana is not merely declared as the capital and largest city in Slovenia. This capital city is the single “real city” in Slovenia since its neighbour city, Maribor, in the direction North East, is recognized as the second urban center in Slovenia with the population of 100,000 and plays role as the essential heart and soul of Slovenia’s cultural activity and business. However, Maribor does not own the specification of what Ljubljana features. 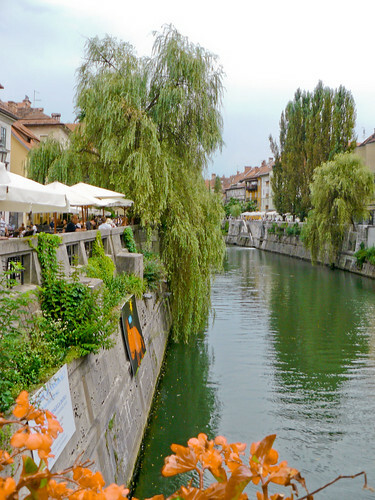 The river of Ljubljana, which is named Ljubljanica runs all over through the capital city but it seem probably to represent an inland waterway as it flows through the city. There are lots of road bridges and walker paths on both sides of Ljubljanica. Three bridges, Triple Bridge (a tri-zig-zagged path bridge), Dragon Bridge (decorated with well-carved green dragons and it is believed among local folks that these dragons will shake their tail whenever a virgins pass by the bridge), and Shoemakers Bridge (known of the point where shoemakers worked during the medieval times) are the most monumental for the ones who are most probably to use these bridges to cross in or out of the city. The river has a coloring of impressive turquoise-green which looks very picturesque when the light of the city is bright especially at night. For one who favors to experience romantic atmosphere, they can hire a Venetian appears gondola to sail around the city.